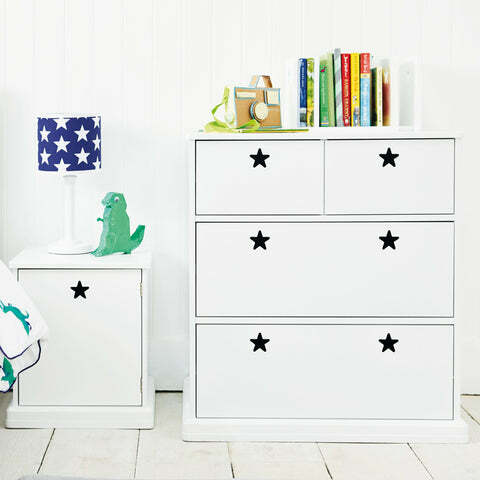 Star Bright Chest of Drawers, Tall | Great Little Trading Co. 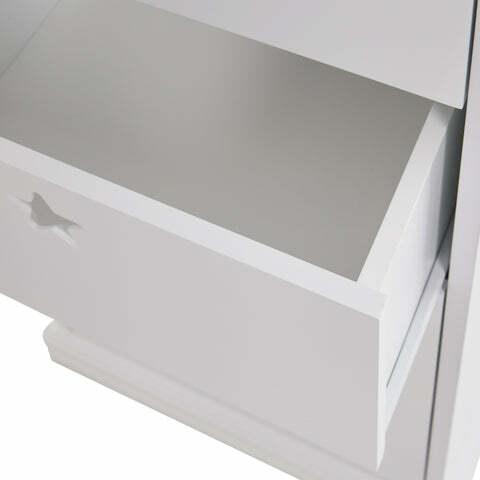 Yes this gorgeous chest of drawers looks divine, but it's also a practical addition to nurseries or children's bedrooms; it doesn't take up much floor space and the smaller drawers are ideal for tiny socks or little leggings. You can't be too careful with children around, so we make sure all our furniture is wobble free and safety tested. In the interests of safety please always use the Anti-Tip Safety Kit supplied. 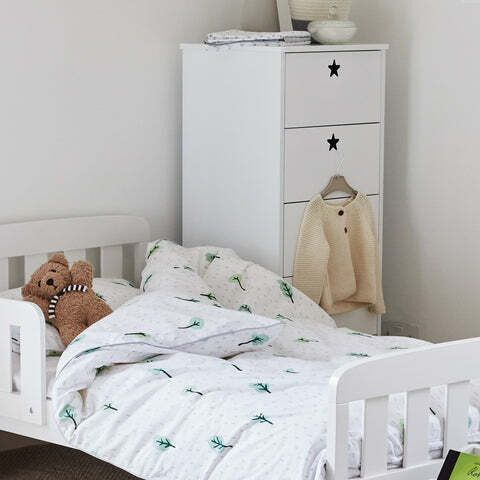 Team up this lovely piece of furniture with the rest of the Star Bright Bedroom Furniture range, as well as the matching Wall Shelves and plenty of our Toy Storage to keeps things tidy.